Celery salt belongs to the salt family, and it is commonly used as a flavoring agent in our foods and recipes. 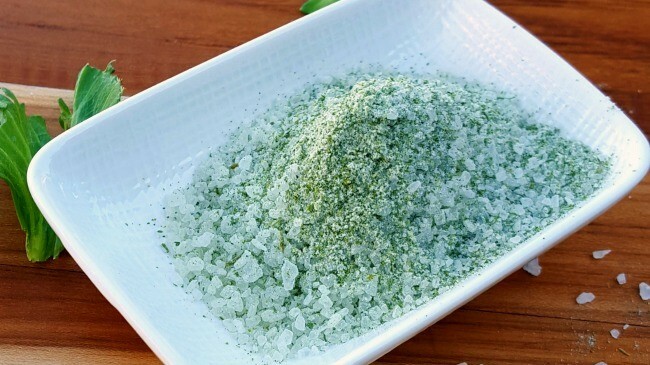 Interestingly, in understanding what celery salt is, you need to grasp is that a combination of three parts of plain salt with two parts of celery seed produces this healthy condiment. 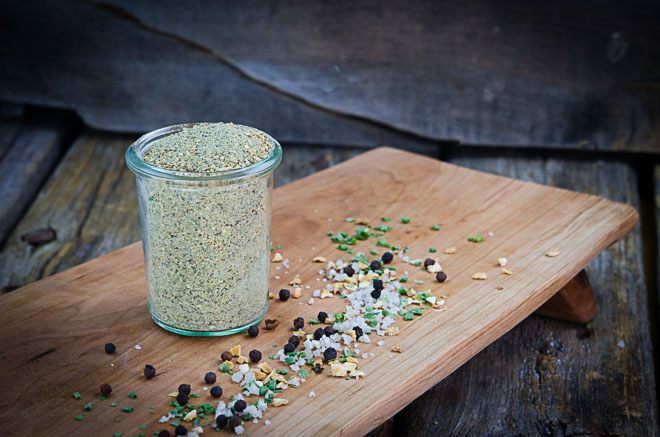 Celery seed has an inherent grassy flavor which enhances the taste and flavor of this salt: giving it a distinct appeal. Its use ranges from table seasoning functions to complementary role when cooking meats, creams starches, and vegetables. My first encounter of the celery salt as a child was one of amazement, but ever since I have deployed it the preparation of thousands of meals. It has been proven to be effective in the reduction of cholesterol levels and published reports in this regard have highlighted the positive health effects of celery salt. When experimented on mice, it showed a propensity for the reduction of unhealthy cholesterol represented by TG (total cholesterol), LDL-C (low-density protein cholesterol) and TC (triglyceride) metrics. Celery is rich in polysaccharides and other antioxidants and polysaccharides which act as active anti-inflammatory compounds. They are supportive during the aging process by fighting off free radicals which are responsible for stress and depreciation of your physical appearance and skin. The lowering of inflammation cuts down on your risk of developing heart diseases and cancerous growths. The extracts from celery seeds are rich in active anti-hypertensive properties capable of reducing high blood pressure. It regulates elevated blood pressure counts, and this comes from properties of its seeds that include methanolic, hexane and other aqueousethanolicextracts. These ingredients lower inflammation and improve blood circulation thereby spurring a healthy physiology. It is also rich in Phthalides which relaxes your arteries. The presence of volatile oils and alkaloids in celery seeds has spurred researchers to recommend them for effective colon cleansing and intestinal nourishment. The presence of alkaloids and other constituents in the required quantities help to improve the secretion and efficiency of your internal protective mucus while also controlling the gastric acid counts within your digestive tract. Celery eaten in conjunction with barley and chicory has been affirmed as beneficial to people with liver ailments.Their active properties boost the liver enzyme functionalities while increasing your lipid levels. Consumed in RDA, they will boost your liver health and help to lower the buildup of unhealthy fats in your liver. 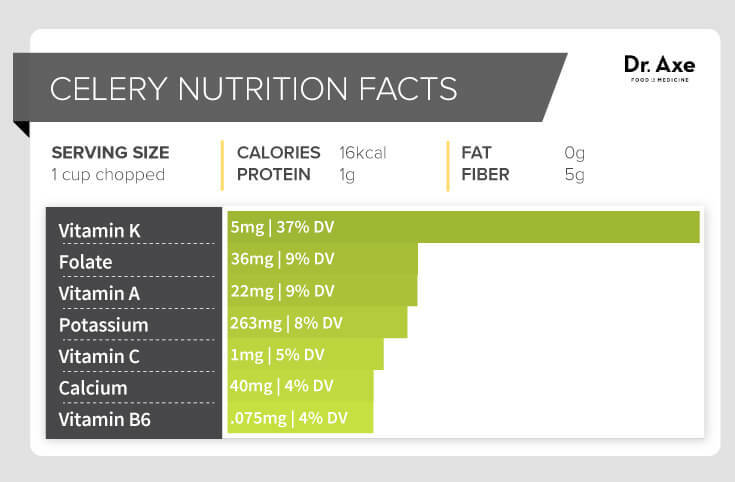 Celery in 100 grams provides 9 percent of your daily requirement of folic acids, niacin, riboflavin, and vitamins. Celery stimulates your production of urine and lowers uric acid as a result. In the incorporation of this stimulation, it leads to the elimination of bacterial infections within your endocrine regions and digestive tracts. Celery effectively works against cysts and hinders their development on your reproductive organs. They can be helpful in inhibiting bladder disorders and kidney problems. Exercise control with regards to your ingredients. Muster some savings since homemade seasoning will decidedly be cheaper than when you buy off the shelves. You have the benefit of having fresh condiments to use. You can buy to prepare, and this can limit your spending spread.You can buy to prepare, and this can limit your spending spread. So, when you take charge of making your celery salt at home, you could be avoiding a mix of the above constituents which in a real sense have to be regulated in our diet. To prepare the items and have them in your desired place takes only ten minutes. Thankfully, there is no cooking involved! The preparation time for celery salt is under five minutes. The cooking time for this particular recipe is under a minute. After it is prepared and cooked, it will be available for usage in 16 minutes. First, you want to grab your microwave safe plate and line it using a paper towel. Create a second layer of your celery leaves and have them covered with a fresh paper towel. Then, place this into the microwave and power it on. Rearrange them twice; once every 30 seconds for thorough cooking. Take out the celery from the microwave after 1 minute. Take two tablespoons of the dried leaves and then crumble on your palms. Add salt to and blend using a spice mill to your desired outcome Store in an air-tight container with a fitting lid for saving. 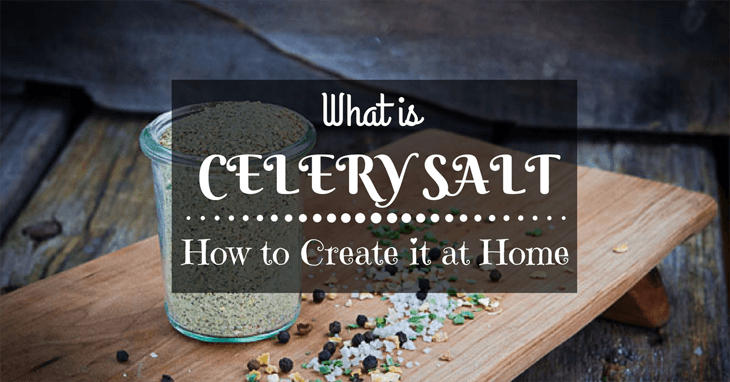 Whenever celery salt is used, it produces a flavor of fresh scent in anything you usually will cook with table salt.You can add it to rice, potatoes, soups vegetables or even popcorn. The effect of the combination of celery seed and salt is a recognizable tangy edge to an otherwise bland meal. Many hot dog recipes utilize celery salt to give it an evident spicy elevation that hot dog connoisseurs love. When meats are being prepared for cooking, celery salt with other herbs like parsley, garlic powder, gingers and black pepper fit in for use. It can also be used with paprika as well as soy sauce, white vinegar or lemon juice to elevate the taste ante of your recipes. On fish, it can be added to melted butter and sprinkled to give you a rare delight. When cooking shellfish, it can be added to boiling water to have it seasoned while you cook. 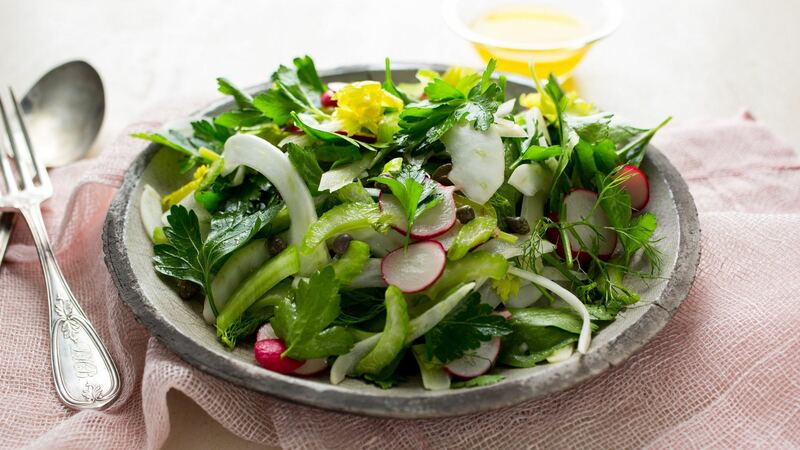 Your cold salads get a jump when celery salt is added to it to complete the creamy assemble you have prepared. Also, egg salad, pasta salad, potato salad and coleslaw can be deliciously helped with a sprinkle of celery salt. In some recipes, the use of dill is unnecessary with celery salt in place. The leafy edge of your vegetables can get a boost with celery salt so that your crispy delight will be more refreshing with a savory end. Bloody Mary can be awkward tasting but a touch of celery salt seasons it for a better flavor. It can be lined on the rim of the Bloody Mary glass or mixed directly into the drink depending on who is serving. A hint of freshness is added to vegetable juices when celery salt is used as a flavoring. It can also be added to bottled or canned vegetables as a taste enhancer. Pork When preparing pork, it should be rubbed on the rind to have it crispier before roasting. Quail’s Eggs It is recommended to eat with Quail’s eggs and after a couple of times of tasting this; I can affirm that it is a perfect pair. Stews Stews are made with tomatoes, vegetables, and other self-assembled items (where possible). Adding celery salt gives the taste a leap that makes it more alluring. Old Bay Seasoning If you are used to old bay seasoning, then you should be aware that your good old celery is the major ingredient here. If you are considering making it at home, you are going to need the celery salt for good effect. I know that a load of information is packed up in this piece about the uses and health benefits of celery salt. I am looking forward to seeing your questions, observations, and comments in the days ahead on our what is celery salt article. You should feel free to use the column on this page for your feedback as you complete the round-up of this article.Please let your friends, loved ones and family know about the ton of helpful details here by sharing, liking and posting on your social networks.